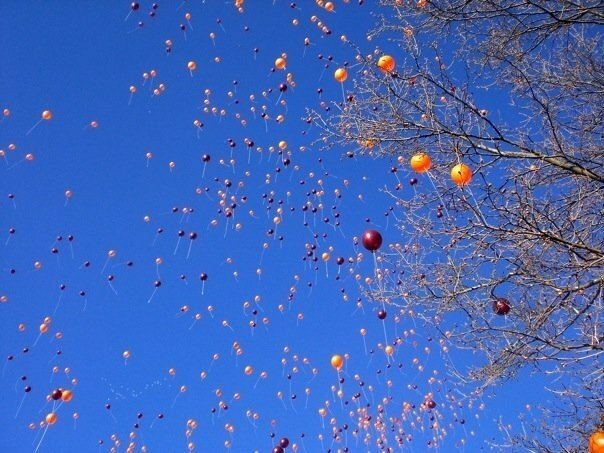 Its been 3 years since 4.16.07…not a day goes by that I don’t think about what happened here at Virginia Tech. I walk by those buildings where 32 innocent students lost their lives every single day, and the tragedy that this campus faced 3 short years ago is always present in the back of my mind. Its something you just cannot forget. I am truly blessed to be here and be healthy…and I am so grateful that I will be walking across that stage receiving my diploma in 19 days when there are others who will not be able to, because their lives were taken from them. Every day is a blessing, and its important to live life to the fullest. I ran that 3.2 miles this morning with a smile on my face and tears in my eyes, because its so touching to see the Hokie Nation join together, like always, and do things for a great cause. A record turnout of over 7,000 runners yelling “Let’s Go Hokies” is enough to bring tears to your eyes. WE ARE VIRGINIA TECH.